I’m originally a Lancashire lass, born in the industrial town of Rochdale. Most of my forebears were working class English, but my family also has a dash of Irish-Australian blood, a fact we were unaware of until after we migrated to Australia when I was twelve years old. I’m now an Australian citizen, married to another Australian of equally mixed origins, and have two grown up daughters. At school I was that strange kid who could hardly wait for the teacher to say “Here’s the topic for your next essay” or “I’d like you to write a short story”. My ability to write coherently helped me to pass exams. But the idea of writing as a career never entered my mind, and my parents would no doubt have dissuaded me from such a silly idea if it had. I eventually became a doctor. Even in medical school, however, my favourite assignments were those that involved writing essays, and over time I began to dream of becoming a writer. When my two girls were both in primary school I enrolled in a writing course by correspondence. (Do such things still exist?) That gave me the start I needed to write articles for publication. The obvious choice was to write about health-related topics, but I’ve written about a wide range of topics. At one stage I was writing weekly software reviews and “how to” articles for the computing section of a daily newspaper. Between episodes of employment as a doctor, I worked as a pastoral care worker for my local church, and wrote articles for the weekly church bulletin and other forums. I’ve dabbled in writing fiction, but non-fiction is my forte. It allows me to combine my curiosity about the world, and enjoyment of research, with writing. 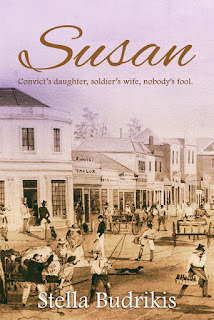 These days my writing focuses mainly on telling the stories of people from the past, whether that’s through short vignettes on my family history blog, Clogs and Clippers, or through full-length biographies such as Susan. From experience I’ve learned that everyone, no matter how ordinary, has an interesting story, and I love bringing those stories to life. I’d love to have you join my Readers List.Subscribers receive my monthly email newsletter, The Scribbler, and a link to download a free booklet, Family History Pitfalls.